Darren Shan and Mr Crepsley make a long and dangerous trek to the vampires’ stronghold in the mountains. The trek is a test of skill and endurance – one which sees Darren’s vampire nature develop, and offers a new understanding of the mysterious blue-robed servants of the sinister Mr Tiny. Will Darren’s meeting with the Vampire Princes restore his human nature, or turn him further towards the darkness? 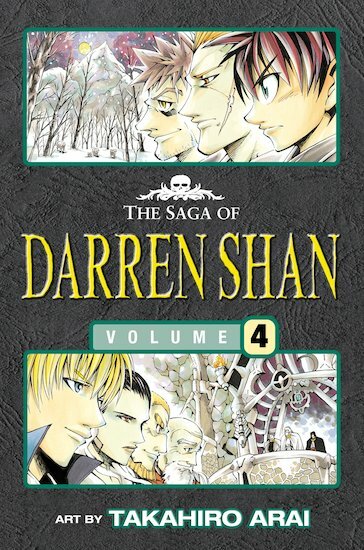 The latest chilling manga novel from Darren Shan’s classic series! 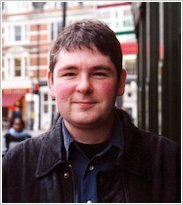 Darren Shan is author of two best-selling horror series: The Saga of Darren Shan, and The Demonata. He was born in London in 1972, but has lived in Ireland since the age of six. He began to write as a teenager, and initally had horror books for adults published. His big breakthrough came in 2000 with the publication of his first children’s book, Cirque du Freak. The first of twelve books in the vampiric_Saga of Darren Shan_ it attracted a huge following. A film of the first three books is released in October 2009. His next project, The Demonata cemented his reputation as the master of children’s horror, and the episodic Zom_B soon followed. Darren lives in Limerick with his girlfriend. He’s a huge film buff, loves to collect comic-art, supports Tottenham Hotspur – and is always thinking up new ways to terrify his readers! Darren’s books have now been published in 31 languages, and have been best-sellers in countries as diverse as America, Hugnary and Taiwan, selling over 20 million copies worldwide!!!! This is great seeing great books turned in to comic.